Hunting Cutlasses are large edged weapons, used as hunting knives since the 17th century when firearms became popular for hunting. From this time on hunting cutlasses were used to kill large wounded game such as stags or boars to death. 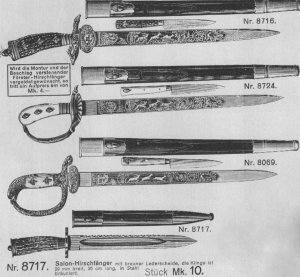 Hunting cutlasses were carried by the nobility until the 19th century, being the only game hunters at that time in Germany. Lateron hunters and forest officers used hunting cutlasses as part of their uniforms or as service weapons. Nowadays hunting cutlasses are primarily used for representative purposes. HUBERTUS Service Cutlasses feature a blade with a sharp edge. 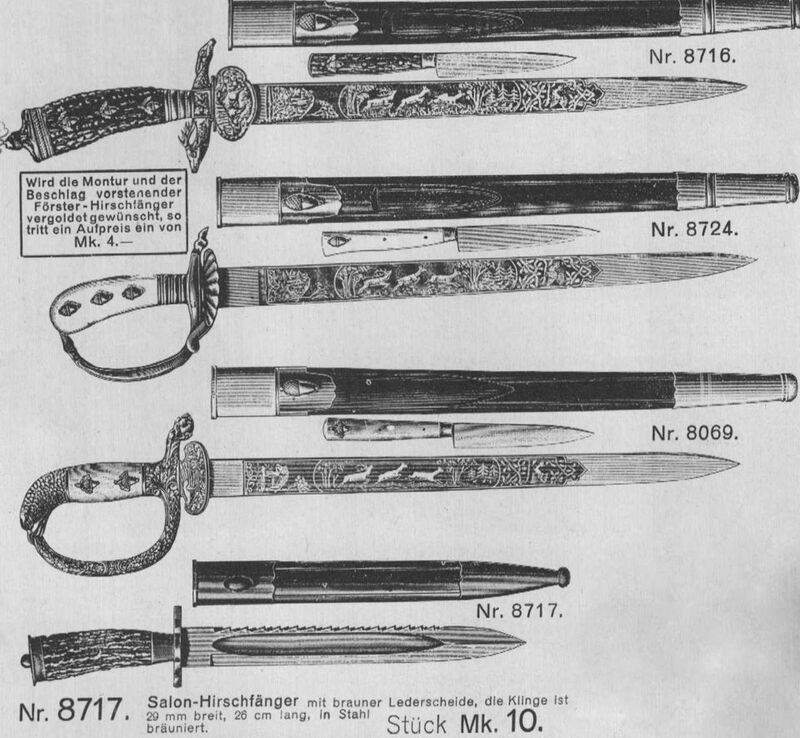 HUBERTUS Forestry Cutlasses are featuring classic patterns. 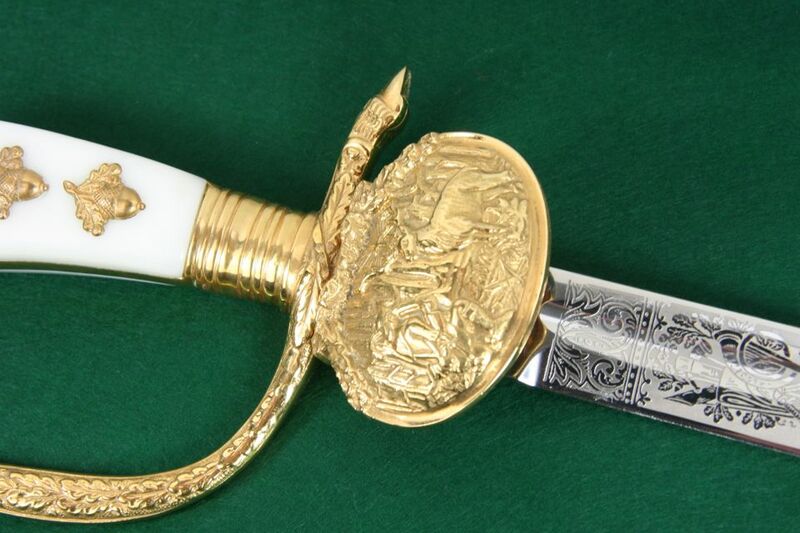 The blades are etched with hunting scenes in fine detail and nickel plated in order to avoid corrosion. Blade length: 26 cm / 10-1/4"
Overall length with leather sheath: ca. 43 cm / c.17"
Blade length: 33 cm / 13"
overall length with scabbard: ca. 52 cm / c.20-1/2"
Blade length: 25 cm / 9-3/4"
overall length with scabbard: ca. 41 cm / 16-1/4"
overall length with scabbard: ca. 39 cm / 17-1/2"
Blade length: 27 cm / 10-5/8"
overall length with sheath: ca. 38 cm / 15"